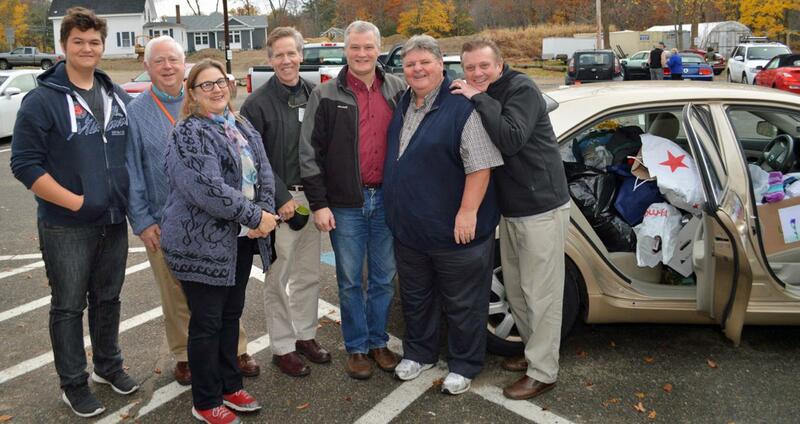 On Thursday, November 17, Ipswich Rotary completed a very successful “Sock Drive for the Homeless”. Rev. Brian Gearin of Starlight Ministries in Boston joined us at our breakfast meeting to describe the need and to help us understand how good people can suddenly find themselves homeless. Following the meeting, the club packed Rev. Gearin’s car chock full of socks collected during the drive. Ipswich Rotary thanks all our friends in Ipswich and Rowley who contributed to this drive. Ipswich Rotarians surround Rev. Gearin as he prepares to return to Boston with his car stuffed with socks. Yes, we left a bit of room in the car for Rev. Gearin. Rev. 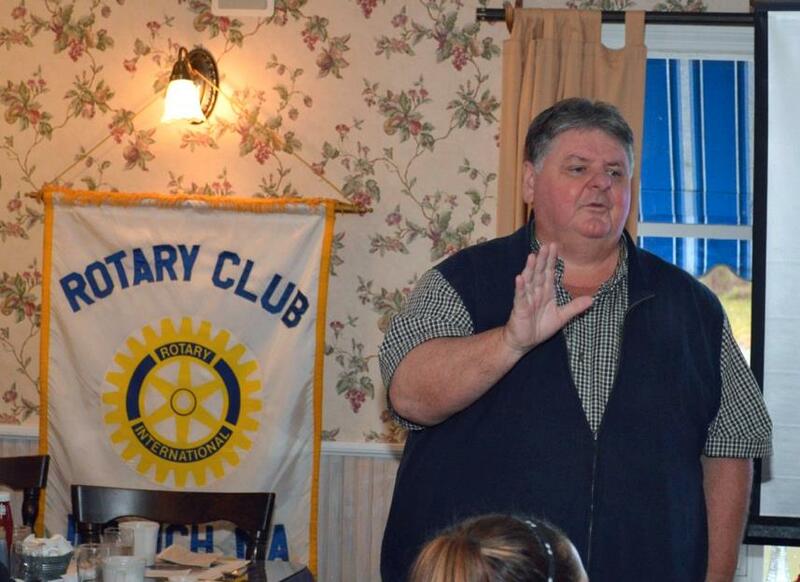 Gearin addressed the club about the conditions that lead to homelessness.